If you’re looking for a godawful way to quench your thirst, might I suggest Sam Adams Cherry Wheat. 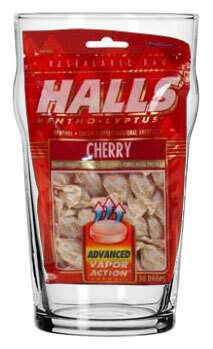 It’s the perfect beverage when you’re craving the taste combination of beer and liquified Halls lozenges. It’s nasty. You can’t say that about many beers, albeit a select few, but Sam Adams Cherry Wheat is truly awful. I swear I’ve had this before and it wasn’t this bad. Don’t buy it now. Sam Adams Cherry Wheat rapes the senses and makes drinking-fun time about as enjoyable as giving children and or animals liquid medicine against their will. Have you ever seen a wild animal go totally berserk? Drinking Sam Adams Cherry Wheat is about as great an idea as poking a wolverine with a stick when its pissed off. Wolverines are always pissed off anyway so I just made two points.